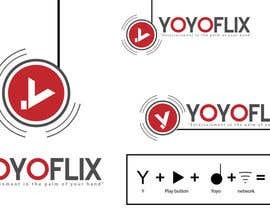 Yoyoflix is a company specializing in online video streaming aggregation and handheld entertainment. 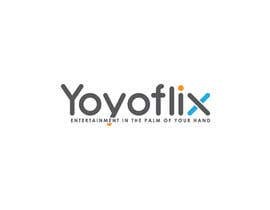 We are looking for a modern clean logo with a fresh look, this will be displayed in our website, apps, and marketing pieces. our color scheme is red as main color and then white and shades of grey from dark to light, not all of these need to be present in the logo. Red should definitely be present. 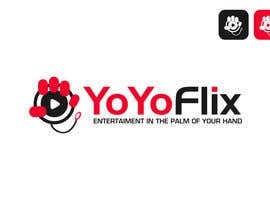 our slogan is "Entertainment in the palm of your hand"
ORIGINAL ideas only, we don't want it to look like another logo. When we use examples we are just pointing out that they are very modern and simple. HAVE A LOOK ON MY ENTRIES. AND PROVIDE FEED BACK OR RATING. FONT AND COLOR CHANGE ON YOUR REQUEST .READY TO DELIVER YOU ALL FILES. THANKS .